This herb was used anciently as a staple remedy in the home and was thought to save and prolong life. By chewing the fresh leaves, they were used for infections of the mouth and throat, including curing cold sores. 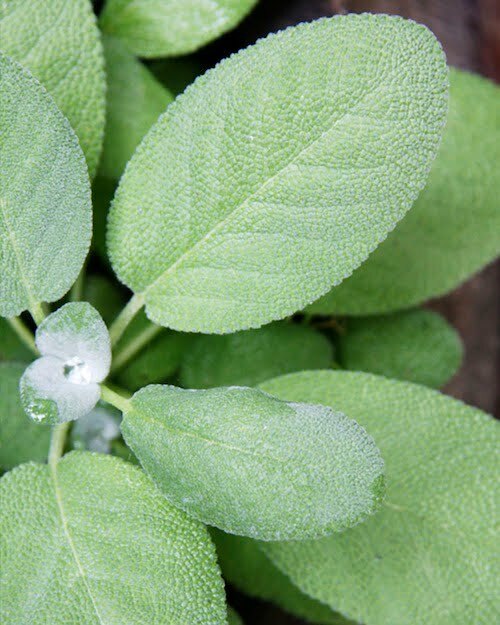 Sage is used for excessive mucus discharges, nasal catarrh, indurated sores and excessive secretions of saliva. Sage is beneficial for mental exhaustion and strengthening the ability to concentrate. It improves the memory and has been used to cure some types of insanity. When inhaled, it has been found to calm a person down. It was used as a lotion to heal sores and other skin eruptions and will stop bleeding from wounds. Sage contains vitamins A and C, vitamin B-complex. It has a lot of calcium and potassium. It also contains sulphur, silicon, phosphorus and sodium. (Old English) Sawge. Garden Sage. Red Sage. Broad-leaved White Sage. Narrow-leaved White Sage. Salvia salvatrix. The Common Sage, the familiar plant of the kitchen garden, is an evergreen undershrub, not a native of these islands, its natural habitat being the northern shores of the Mediterranean. It has been cultivated for culinary and medicinal purposes for many centuries in England, France and Germany, being sufficiently hardy to stand any ordinary winter outside. Gerard mentions it as being in 1597 a well-known herb in English gardens, several varieties growing in his own garden at Holborn. Sage generally grows about a foot or more high, with wiry stems. The leaves are set in pairs on the stem and are 1 1/2 to 2 inches long, stalked, oblong, rounded at the ends, finely wrinkled by a strongly-marked network of veins on both sides, greyish-green in colour, softly hairy and beneath glandular. The flowers are in whorls, purplish and the corollas lipped. They blossom in August. All parts of the plant have a strong, scented odour and a warm, bitter, somewhat astringent taste, due to the volatile oil contained in the tissues. Sage is found in its natural wild condition from Spain along the Mediterranean coast up to and including the east side of the Adriatic; it grows in profusion on the mountains and hills in Croatia and Dalmatia, and on the islands of Veglia and Cherso in Quarnero Gulf, being found mostly where there is a limestone formation with very little soil. When wild it is much like the common garden Sage, though more shrubby in appearance and has a more penetrating odour, being more spicy and astringent than the cultivated plant. The best kind, it is stated, grows on the islands of Veglia and Cherso, near Fiume, where the surrounding district is known as the Sage region. The collection of Sage forms an important cottage industry in Dalmatia. During its blooming season, moreover, the bees gather the nectar and genuine Sage honey commands there the highest price, owing to its flavour. In cultivation, Sage is a very variable species, and in gardens varieties may be found with narrower leaves, crisped, red, or variegated leaves and smaller or white flowers. The form of the calyx teeth also varies, and the tube of the corolla is sometimes much longer. The two usually absent upper stamens are sometimes present in very small-sterile hooks. The Red Sage and the Broad-leaved variety of the White (or Green) Sage – both of which are used and have been proved to be the best for medical purposes – and the narrow-leaved White Sage, which is best for culinary purposes as a seasoning, are classed merely as varieties of Salvza officinalis, not as separate species. There is a variety called Spanish, or Lavender-leaved Sage and another called Wormwood Sage, which is very frequent. A Spanish variety, called S. Candelabrum, is a hardy perennial, the upper lip of its flower greenish yellow, the lower a rich violet, thus presenting a fine contrast. The name of the genus, Salvia, is derived from the Latin salvere, to be saved, in reference to the curative properties of the plant, which was in olden times celebrated as a medicinal herb. This name was corrupted popularly to Sauja and Sauge (the French form), in Old English, ‘Sawge,’ which has become our present-day name of Sage. The herb is sometimes spoken of as S. salvatrix (‘Sage the Saviour’). An old tradition recommends that Rue shall be planted among the Sage, so as to keep away noxious toads from the valued and cherished plants. It was held that this plant would thrive or wither, just as the owner’s business prospered or failed, and in Bucks, another tradition maintained that the wife rules when Sage grows vigorously in the garden. Many kinds of Sage have been used as substitutes for tea, the Chinese having been said to prefer Sage Tea to their own native product, at one time bartering for it with the Dutch and giving thrice the quantity of their choicest tea in exchange. It is recorded that George Whitfield, when at Oxford in 1733, lived wholesomely, if sparingly, on a diet of Sage Tea, sugar and coarse bread. Balsamic Sage, S. grandiflora, a broad-leaved Sage with many-flowered whorls of blossoms, used to be preferred to all others for making tea. An infusion of Speedwell (Veronica officinalis), Sage and Wood Betony is said to make an excellent beverage for breakfast, as a substitute for tea, Speedwell having somewhat the flavour of Chinese green tea. In Holland the leaves of S. glutinosa, the yellow-flowered Hardy Sage, both flowers and foliage of which exhale a pleasant odour, are used to give flavour to country wines, and a good wine is made by boiling with sugar, the leaves and flowers of another Sage, S. sclarea, the Garden Clary. The latter is known in France as ‘Toute bonne’ – for its medicinal virtues. Italian peasants eat Sage as a preservative of health, and many other country people eat the leaves with bread and butter, than which, it has been said, there is no better and more wholesome way of taking it. A species of Sage, S. pomifera, the APPLEBEARING SAGE, of a very peculiar growth, is common on some of the Greek islands. It has firm, fleshy protuberances of about 3/4 inch thickness, swelling out from the branches of the plant and supposed to be produced in the same manner as oak apples, by the puncture of an insect of the Cynips genus. These excrescences are semi-transparent like jelly. They are called Sage Apples, and under that name are to be met with in the markets. They are candied with sugar and made into a kind of sweetmeat and conserve which is regarded by the Greeks as a great delicacy, and is said to possess healing and salutary qualities. It has an agreeable and astringent flavour. This plant is considerably larger than the common Sage of our gardens and its flavour and smell are much more powerful, being more like a mixture of Lavender and Sage. It grows very abundantly in Candia, Syros and Crete, where it attains to the size of a small shrub. The leaves are collected annually, dried and used medicinally as an infusion, the Greeks being particular as to the time and manner in which they are collected, the date being May 1, before sunrise. 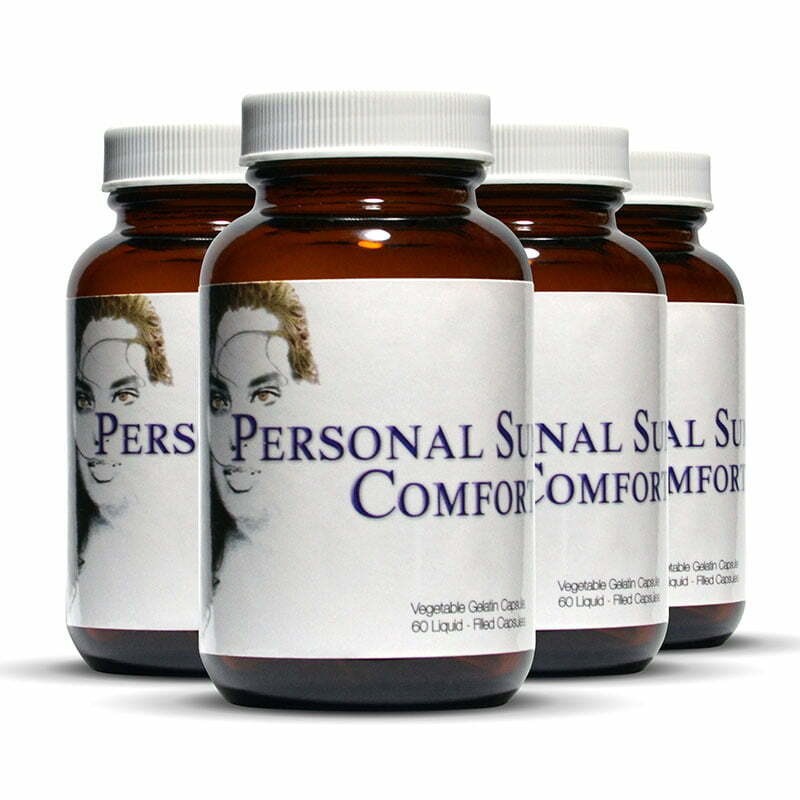 The infusion produces profuse perspiration, languor, and even faintness if used to excess. There is a smaller Salvia in Greece, the S. Candica, without excrescences. Another south European species, an annual, S. Horminum, the RED-TOPPED SAGE, has its whorls of flowers terminated by clusters of small purple or red leaves, being for this peculiarity often grown in gardens as an ornamental plant. The leaves and seed of this species, put into the vat, while fermenting, greatly increase the inebriating quality of the liquor. An infusion of the leaves has been considered a good gargle for sore gums, and powdered makes a good snuff. The Garden Sage succeeds best in a warm and rather dry border, but will grow well almost anywhere in ordinary garden soil; it thrives in a situation somewhat shaded from sunshine, but not strictly under trees. It is a hardy plant, but though a perennial, does not last above three or four years without degenerating, so that the plantation should be renewed at least every four years. It is propagated occasionally by seed, but more frequently by cuttings. New plantations are readily made by pulling off the young shoots from three-year-old plants in spring, generally in the latter end of April, as soon as they attain a sufficiency of hardness to enable them to maintain themselves on the moisture of the ground and atmosphere, while the lower extremities are preparing roots. If advantage be taken of any showery weather that may occur, there is little trouble in obtaining any number of plants, which may either be struck in the bed where they are to grow, inserting a foot apart each way, or in some other shady spot whence they may be removed to permanent quarters when rooted. The latter plan is the best when the weather is too bright and sunny to expect Sage to strike well in its ordinary quarters. See the young plants do not suffer from want of water during their first summer, and hoe the rows regularly to induce a bushy growth, nipping off the growing tips if shooting up too tall. Treat the ground with soot and mulch in winter with old manure. Cuttings may also be taken in the autumn, as soon as the plants have ceased flowering. Sage is also often propagated by layers, in the spring and autumn, the branches of old plants being pegged down on the ground and covered with 1/2 inch of earth. The plant, being like other of the woody-stemmed garden herbs, a ‘stem rooter,’ each of the stems thus covered will produce quantities of rootlets by just lying in contact with the ground, and can after a time be cut away from the old plant and transplanted to other quarters as a separate plant. Red Sage is always propagated by layering or by cuttings, as the seed does not produce a red-leaved plant, but reverts back to the original green-leaved type, though efforts are being made to insure the production of a Red Sage that shall set seed and remain true and develop into the red-leaved plant. Sages backed by late-flowering Orange Lilies go very well together, and being in flower at the same time make an effective grouping. The calyces of Sage flowers remain on the plants well into late summer and give a lovely haze of reddish spikes; the smell of these seeding spikes is very distinct from the smell of the leaves, and much more like that of the Lemon-scented Verbena, pungent, aromatic and most refreshing. At the present day, by far the largest demand for Sage is for culinary use, and it should pay to grow it in quantity for this purpose as it is little trouble. For this, the White variety, with somewhat pale green leaves should be taken. In Dalmatia, where the collection of Sage in its wild condition forms an important cottage industry, it is gathered before blooming, the leaves being harvested from May to September, those plucked in midsummer being considered the best. The general opinion is that it should be gathered before the bloom opens, but the Austrian Pharmacopoeia states that it is best when gathered during bloom. The chief constituent of Sage and its active principle is a yellow or greenish-yellow volatile oil (sp. gr. 0.910 to 0.930) with a penetrating odour. Tannin and resin are also present in the leaves, 0.5 to 1.0 per cent of the oil is yielded from the leaves and twigs when fresh, and about three times this quantity when dry. The Sage oil of commerce is obtained from the herb S. officinalis, and distilled to a considerable extent in Dalmatia and recently in Spain, but from a different species of Salvia. A certain amount of oil is also distilled in Germany. The oil distilled in Dalmatia and in Germany is of typically Sage odour, and is used for flavouring purposes. The botanical origin of Spanish Sage oil is now identified as S. triloba, closely allied to S. officinalis, though probably other species may also be employed. The odour of the Spanish oil more closely resembles that of Spike Lavender than the Sage oil distilled in Germany for flavouring purposes, and is as a rule derived from the wild Dalmatian herb, S. officinalis. The resemblance of the Spanish oil to Spike Lavender oil suggests the possibility of its use for adulterative purposes, and it is an open secret that admixture of the Spanish Sage oil with Spanish Spike Lavender oil does take place to a considerable extent, though this can be detected by chemical analysis. It is closer in character to the oil of S. sclarea, Clary oil, which has a decided lavender odour, although in the oil of S. triloba, the ester percentage does not appear to be as high as in the oil of the S. sclarea variety. Pure Dalmatian or German Sage oil is soluble in two volumes of 80 per cent alcohol, Spanish Sage oil is soluble in six volumes of 70 per cent alcohol. Sage oil contains a hydrocarbon called Salvene; pinene and cineol are probably present in small amount, together with borneol, a small quantity of esters, and the ketone thujone, the active principle which confers the power of resisting putrefaction in animal substances. Dextro-camphor is also present in traces. A body has been isolated by certain chemists called Salviol, which is now known to be identical with Thujone. English distilled Sage oil has been said to contain Cedrene. S. cypria, a native of the island of Cyprus, yields an essential oil, having a camphoraceous odour and containing about 75 per cent of Eucalyptol. S. mellifer (syn. Ramona stachyoides) is a labiate plant found in South California, known as BLACK SAGE, with similar constituents, and also traces of formic acid. Stimulant, as tringent, tonic and carminative. Has been used in dyspepsia, but is now mostly employed as a condiment. In the United States, where it is still an official medicine, it is in some repute, especially in the form of an infusion, the principal and most valued application of which is as a wash for the cure of affections of the mouth and as a gargle in inflamed sore throat, being excellent for relaxed throat and tonsils, and also for ulcerated throat. The gargle is useful for bleeding gums and to prevent an excessive flow of saliva. Sage is also a popular product in several herbal hare loss remedies. When a more stimulating effect to the throat is desirable, the gargle may be made of equal quantities of vinegar and water, 1/2 pint of hot malt vinegar being poured on 1 OZ. of leaves, adding 1/2 pint of cold water. The infusion made strong, without the lemons and sugar, is an excellent lotion for ulcers and to heal raw abrasions of the skin. It has also been popularly used as an application to the scalp, to darken the hair. In Sussex, at one time, to munch Sage leaves on nine consecutive mornings, whilst fasting, was a country cure for ague, and the dried leaves have been smoked in pipes as a remedy for asthma. In the region where Sage grows wild, its leaves are boiled in vinegar and used as a tonic.